White House Press Secretary Sarah Sanders announced Wednesday afternoon that President Trump has revoked the security clearance of former CIA Director John Brennan. “As the head of the executive branch and commander-in-chief, I have a unique constitutional responsibility to protect the nation's classified information. Including by controlling access to it. Today in fulfilling that responsibility, I've decided to revoke the security clearance of John Brennan, former director of the Central Intelligence Agency,” Sanders said, reading a statement from President Trump. "At this point in my administration any benefits that senior officials might glean from consultations with Mr. Brennan are now outweighed by the risks posed by his erratic conduct and behavior." 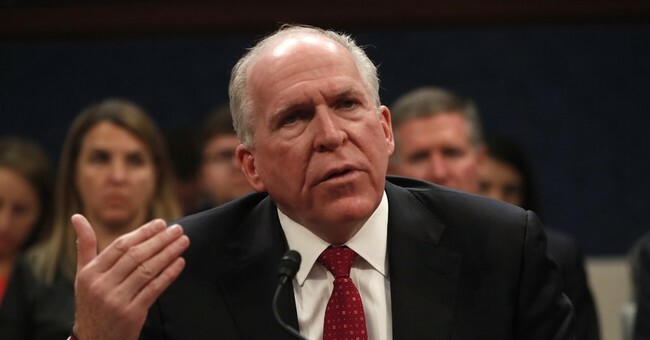 In July, Brennan accused President Trump of treason. Sanders also said the clearances of other officials, including fired FBI director James Comey, current DOJ official Bruce Ohr, former DIA director James Clapper and others are under consideration for revocation. If clearances have already been suspended after individuals left government positions, they may be barred from obtaining reinstated security clearances in the future.